The reason that Rhythm for Reading exists at all can be traced right back to a brief moment which was absolutely life changing. This is how it happened… I was working for the very first time with a group of nine year old children who had fallen so far behind their classmates over the years, that their class teacher feared for their future. I found them to be exactly as she had described, constantly misbehaving, very impulsive and unable to concentrate for longer than two seconds. The more important discovery however, was that my teaching techniques, which had until that point always been effective, had failed to engage these children. Stepping into an inclusive mindset at that moment meant leaving the security of the ‘known’ behind. The first step for me was to acknowledge that I needed to know how to help these children. The second step was to pause for a moment and listen to the children, asking them about the things that they loved to do so that I could teach them more effectively. The third step was to find a way forward from that conversation. It was obvious that football was hugely important to these children. They spoke about their footballing skills with a confidence that was so sincere, I felt that their commitment to movement could help me to teach them. At that time, the notion of learning through movement and rhythm was extremely unorthodox, but for these children, rhythmic exercises beginning with the feet proved to be extremely beneficial.They were soon better able to concentrate and their behaviour in class became calm and industrious. Now, some twenty years later, neuroscientists have established the correlation between rhythmic awareness and reading and have shown the importance of movement for learning and memory. Those early steps in particular have been researched, evaluated and formalised into the own online teaching programme Rhythm for Reading. An inclusive and equitable approach often demands courage and faith, but above all it specifies that teachers put learning first and take the necessary steps to teach children in the way that they can learn. The effects of inclusive teaching and learning have wide ranging benefits. Not only does an inclusive approach transform educational outcomes for all children, but it also reinforces the caring ethos of the school community, as well as deepening knowledge, expanding expertise and empowering teaching. 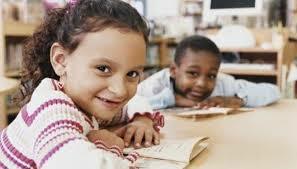 Through the analysis of data, our educational system has successfully identified inequalities and the influence of these on the future lives of disadvantaged children; but what is urgently needed now is a bold strategic vision with which to implement appropriate approaches that will support individual children, build cohesion within schools and strengthen the communities that they serve. From the age of three years, children spend much of the school day honing their capacity for effortful-control and mental focus. These efforts help to build foundations for self-regulation and goal-directed behaviour, which gain momentum from four years of age (Rothbart, Sheese, Rueda and Posner, 2011). Self-regulation involves the use of behaviours and strategies that support a desired outcome, as well as the suppression of any unhelpful impulses that would divert attention away from the desired goal. It is unsurprising therefore that self-regulation, characterised by cognitive control, perseverance and self-discipline predicts academic attainment, and it is fascinating to find that this topic chimes in an interesting way with Aesop’s Tale of The Tortoise and the Hare. 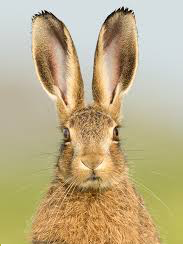 The fable tells of a boastful hare, who when challenged to a race by a tortoise was so confident in his ability to outrun the tortoise at the very last minute, that he went to sleep. The hare failed to wake up in time and the tortoise won the race. Just as Aesop’s hare misjudged the timing of the race and underestimated the perseverance of the tortoise, so too are children with poor self-regulation prone to problems relating to social communication and overcoming procrastination. The underlying problem is this: unless attention is rhythmical, all of the child’s efforts to concentrate are spent on suppression. This is why a meaningful deadline appears to be helpful; it generates a target that enables the child to organise their attention ‘in time’. In truth, the systematic use of sanctions and rewards to manage difficulties with self-regulation and social communication may appear to ‘work’, but the danger of this type of approach is that it simply trains the child to become increasingly dependent on the intervention of a specific teacher, further decreasing their capacity to self-regulate. What is required is a programme that realigns the child’s inherent sensitivity to timing in terms of (i) language and reading skills, (ii) selective attention and (iii) social group skills. Realigning a child’s sensitivity to rhythm at several levels simultaneously achieves an integrated result and lasting impact on several domains: phonemic awareness, cognitive control, inhibition, reading accuracy, reading comprehension, reading fluency, a sense of self-worth and a sense of social belonging. Addressing the underlying issues of weak self-regulation in this comprehensive and natural way, resets the child’s educational outcomes in alignment with an emotionally healthy and academically positive path. Read more. Rothbart, M.K., Sheese, B.E., Rueda, M.R. and Posner, M.I. (2011). Developing mechanisms of self-regulation in early life, Emot rev: 3 (2) 207-213. As we hurtle ever-faster into the age of digital communication, I find myself wondering whether metaphors are still useful in everyday life. Skilled journalists have always produced headlines using sharp, snappy metaphors to sensationalise, to ridicule and to frame an event, generating huge ripples of influence and instant impact. The pacy style of tabloid newspaper headlines is absolutely aligned with the short staccato formulaic styles of digital communication in everyday life. However, the sheer volume of electronic communication allows insufficient space and time for a metaphor to unfold. Far from allowing details to clutter the basic outline, the message must be brief, clear and direct. Any potential for misunderstanding can therefore be circumvented in advance. We all share a common heritage that stems from traditional pre-literate societies in which metaphors have been extraordinarily important tools of diplomacy and ingenuity. Using the richness of imagery, they allowed delicate messages to be conveyed indirectly, thereby fortifying relationships between different groups of people. The use of metaphor assisted the settlement of disputes because grievances could be powerfully expressed in novel and flexible ways. The free-floating nature of a metaphor enabled negotiations to ebb and flow within a conceptual framework and for objections to be recanted without fear of recrimination or loss of face (Samatar, 1997). Naturally, a beautifully-crafted metaphor, enhanced by a heartfelt and expressive delivery could be highly persuasive and help to establish trust between all parties. The power of the metaphor has been driven by cultural traditions infused by intricate systems of symbol and superstition, which in historical terms have played an important role in everyday language. However, in the digital age of mass communication and scientific method, we seem to be leaving those magnificent days of rich and flexible communication behind. Perhaps the omniscient light-hearted face of our diminutive electronic emissary Mr Emoji is a direct descendant of the metaphor, arguably the greatest literary device of the ancient scribes and archive of oral folk-lore. Samatar, S (1997) Sarbeeb: ‘The art of oblique communication’ In J.K. Adjake & A.R. Andrews (Eds) Language, Rhythm and Sound, University of Pittsburgh Press. About twenty years ago, on a wintry Saturday afternoon in one of London’s most beautiful churches, I stood with a few musicians during a tea-break chatting about my ideas on rhythm and then someone mentioned educational research. The idea that research might answer some of the questions that had been buzzing about my brain for a few months seemed magnetic and I wondered how on earth I would meet the ‘ideal’ person who would actually do this research. Eventually, it dawned on me that the researcher that I so desperately needed to meet, might one day be me. For a while it was difficult to reconcile the hard-working musician (who knew a lot about only one discipline) with a projection of myself as a researcher, who had amassed decades of specialised reading on the brain, had a broad skillset, produced presentations, publications and documents, but most importantly could answer my own questions about rhythm. The journey from musician to researcher had very ordinary beginnings. Once I had read every relevant book in my local library, I took two post-graduate courses in the evenings (after work) and then I began doctoral research, travelling regularly to London, this time during the day. At that time I had more than five part-time roles in schools, as well as my work as a professional musician and also a research officer role at the Institute of Education – quite the plate spinner. In education, there are powerful overlaps in the way that research is done by researchers, teaching is done by teachers and learning is done by learners. When these roles genuinely intersect and flow together, when thinking is shared, when communication is effective, innovation can be explored with potentially powerful impact. Recently, the journey into research came up in conversation with an enthusiastic teacher, who was keen to answer her own research questions. 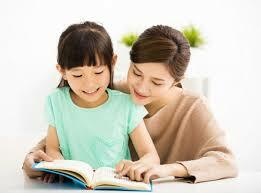 She mentioned to me that it was difficult as a parent to fit research into her hectic schedule. I could sympathise because a shortage of time is something that we all share. My own experience had been that limiting all trivial tasks to a ten minute ‘quick-zoom’ of frenetic activity turned out to be the most ridiculously satisfying way to create quality time. Most importantly, because time for studying was so precious, it was important to plan exactly what had to be accomplished in that time. It’s my personal belief that a parent’s care and concern for their own intellectual development benefits their children hugely. It sets a calm atmosphere in the home as well as a deeply and sincerely-shared focus on curiosity and wonder. My children have only known me as someone with a pile of books, ideas and goals ‘on the go’ and have seen close-up, the importance of perseverance and consistent effort for generating an impact on the lives of others. They also know that the journey from musician to researcher started small, but with plenty of conviction. The librarians at our local library checked the maximum number of books that could be borrowed for one adult and two children every Wednesday afternoon. That weekly library routine certainly provided plenty of momentum for our reading habits and I’m pleased to say, has vastly transformed our lives. What could be better than big data? It has been a huge privilege to spend the past six months visiting an outstanding special school, which has commissioned research on the impact of the Rhythm for Reading programme. Sensory-shock is one of those over-worked, high impact, culturally jarring phrases bandied about to solicit attention. Its use speaks to violation, but of what? It points to a loss of cognitive control that is immediate and devastating. In this school I learned that even seemingly small changes in the tone of voice of someone new, can be experienced by some of the students, as a sensory-shock. Imagine the atmosphere. The school succeeds in providing an optimal learning environment. The students’ sensibilities and sensitivities are the priority – not simply on the mission statement, but always, everyday, all of the time. The students feel good; therefore they make progress, are productive and stay focussed. Maintaining high performance conditions for the students is what makes this special school extra special. Having learned so much by visiting every week, I continue to learn as I engage with the data. 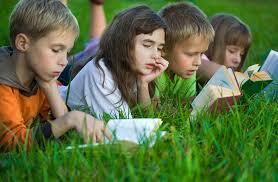 In a natural setting where stress is minimised at all times, the effect of the Rhythm for Reading programme on learning is evident. On the other hand, when one class had a change of teacher, thus generating a shift in the conditions, the data clearly showed the effect of stress, which is also of interest. Big data are not responsive to isolated events in individual lives; such events are simply aggregated into the muffled ambience of the overall picture. In other words, the immediate and devastating temporary loss of cognitive control caused by stress cannot be sensed by big data unless it is a relatively-widely occurring trend. Humans have evolved to be highly attuned to the emotional responses and needs of others, but our socio-cultural scripts have determined that our emotional sensibilities are relatively suppressed, which is why the big data revolution appears to be moving in the right direction. Just as the school provided an ideal learning environment tailored to meet the students’ needs and sensitivities, it is appropriate to reflect in depth on the progress made in the specific setting, to map the trajectories of individual students and groups of students and to keep the influence of the context and conditions very much to the fore. This type of approach is grounded in the detail, conditions and context and therefore provides high levels of internal validity. The data collected from teachers and students also speak to the context and equip the school to contribute confidently to a wider debate about progressive teaching and the future of SEN education. Real data, grounded in the context of the real world, could be better than big data.